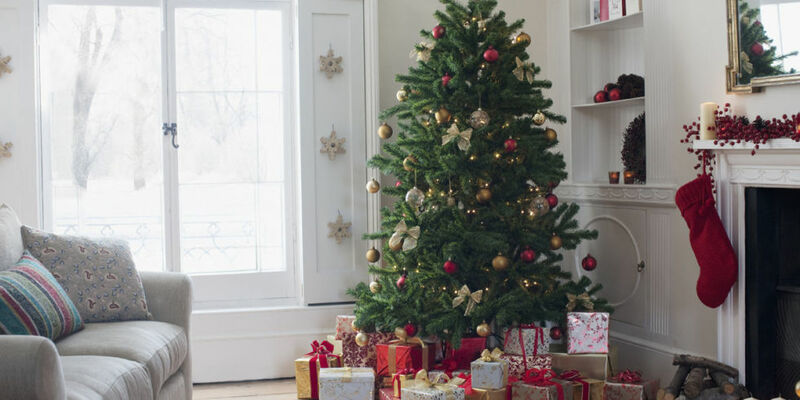 If you’re getting a real Christmas tree this season, as nearly 29 million households are (according to the National Christmas Tree Association), you’ll want it to last through all the ho-ho-hos and tidings of comfort and joy. Here’s what you should do to make sure your tannenbaum doesn’t become a tannen-bummer. According to Mark Derowitsch, a spokesperson for the Arbor Day Foundation, the best way to ensure the most beautiful Christmas tree is to cut your own from a local farm, or to have one cut for you. “That guarantees freshness, and by going to a local tree farm you know it’s going to be sustainable, so trees will be replanted, and it will be a selective harvest,” Derowitsch told The Daily Green. If you buy from a local farm you’ll also help preserve local jobs and open space, and you’ll cut down on shipping costs — not to mention the carbon emissions of cross-country transport. If you have your choice of local farms, choose organic, to help reduce the use of pesticides. Check localharvest.org for a list of local Christmas tree providers across the country. If you are buying a pre-cut tree from a nursery, store or scout troop, ask them how recently they were harvested, and where they came from. If you aren’t impressed with the answers, shop elsewhere. Also inspect them yourself by feeling the needles: they should be flexible, not dry and brittle. The fresher the tree, the longer it will last in your living room. Once you have your tree, it’s important to start taking care of it right away. Tchukki Andersen, a staff arborist for the Tree Care Industry Association, suggests wrapping it in a plastic tarp to protect it for the journey home. If you bought a pre-cut tree, it’s important to make a cut across the bottom, removing an inch or an inch and a half off the bottom. That’s because once it is cut, the sap in the tree will start sealing over the base, and this will hinder its ability to absorb water. According to Andersen, that process takes about three hours. As long as you live reasonably close, you can ask the dealer to make the cut for you. According to Derowitsch, a rough rule of thumb is that a typical tree might absorb a quart of water for each inch of its diameter. This means many stands need to be topped off daily. As a last resort, if your tree does end up getting dried out in its stand, you can try drilling some shallow holes at the base and refilling with water. Keep the tree away from direct sunlight, heaters or fans, as these will speed up the drying process. Andersen suggests using a room humidifier, which can help keep the needles fresher longer, as well as reduce fire risk. Speaking of fire risk, make sure any lights you put on the tree are in good working order, and are designed for the purpose. Newer LED (light emitting diode) holiday lights cost only pennies a season to run, so they are a good value, while they also decrease fire risk because they stay cooler. Also make sure to keep any open flames away from the tree. Once you are done with your tree for the season, don’t just toss it on the curb, where it will end up taking landfill space. Recycle it! Most cities now have programs that collect Christmas trees and turn them into mulch. With good care, a Christmas tree can easily stay fresh for a month or even longer. ← Let Us All Give Thanks!